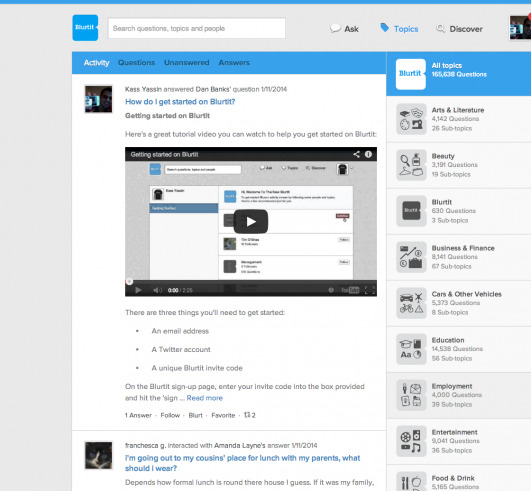 Getting started on Blurtit is pretty simple. So you've created a profile, now it's time to ask or answer questions! There's lots more to do on Blurtit though, so get discovering - and if you have any questions about using the site, just use the "Ask" button on the top of the screen and I'll do my best to answer them in super fast time! You can also message the Blurtit Team through the Uservoice page. How do you thank someone on Blurtit? How do you get more followers on Blurtit? How do I close my account on Blurtit?